Last month, 1,950 teams rode in the 3rd Annual Tour d’Expresso. The race came down to the wire, with two powerhouse teams from different parts of the world battling for glory in the most intense competition ever. 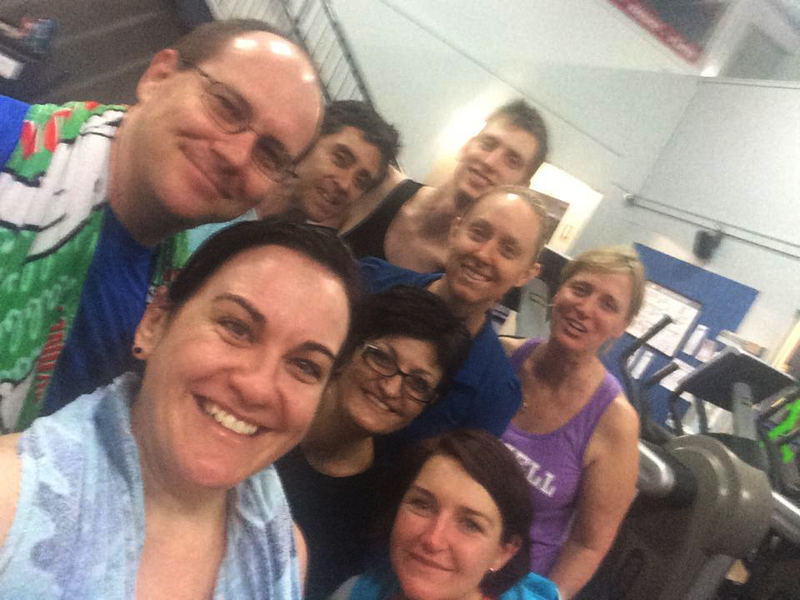 From the USA, Expresso Bike powerhouse YMCA – Greater Richmond – Powhatan Branch battled The Gap Health & Racquet Club, an up-and-comer from Australia. Powhatan took the win, but The Gap made the race and earned the respect of the Expresso world. Each team had over 100 members finish the challenge. We asked the Team Captains to share their top tactics for competing in this riveting event. See the interviews below with Tom Walton, YMCA – Greater Richmond – Powhatan Branch and Rebecca Haines, The Gap Health & Racquet Club. Q: What was your strategy in the Tour d’Expresso? TW: Involve as many people as we could. RH: Tour d’Expresso was the second challenge for us. We did Giro in June so I knew 2 things; I needed my experienced riders on first up and to finish as soon as possible and create a way the team could communicate. I found with both challenges that members new to the Expresso would start half way or towards the end so it was important that the bikes were free for new bums. We had created a closed group on Facebook that was a god send and suggest this for every team. Use the Facebook page to encourage team talk, post photos and talk strategy. People want to be involved in team so focus on building this at the start. Q: How did you coordinate scheduling to make sure riders were able to get their rides in? TW: Our people soon found when the bikes were most likely to not be full. Last year we only had 2 upright bikes. RH: At GHRC we didn’t schedule. It was first in first served. Two reasons for this. Firstly, the Expresso bikes are for ALL the members! We didn’t want to exclude anyone and wanted to ensure the access was always there. Secondly, as part of our recruitment, the members doing the challenge would often chat to members and say, “are you doing the Expresso ride?” And then the information would come from the best referral source – the member! We used our Facebook page to shout out, “3 bikes free, where are you?” At the end of the challenge 100 completed riders rode for 31 days, 4 hours and 40 minutes …that’s 1 of our 3 bikes going constantly for a month, without a complaint! Q: Did you have people ride the bike that had never ridden before? TW: Yes we had about 15 – 20 first time finishers. The team from down under was posting comments on Facebook which was a great help to us. Also, I printed their rider page several times to keep up with their progress. Q: How did this competition differ from past Top 100 challenges? TW: [It was] like all other challenges except it was us against the down under folks. America’s reputation was at stake. Q: Have you run competitions like this at your gym before? If not, how was this competition different? RH: [At GHRC] we have run challenge type events. The Expresso Bike challenge is heaps easier to run, mainly because you spend a majority of the time motivating members and creating that team environment. The scoring was all done automatically so we didn’t have to worry about that side. Once we realized how much our members enjoyed the challenge, we are now planning on our own in house promotions. We contacted Marisa [an Interactive Fitness rep] who has been able to help with scoring on the internet. This just makes events easy. We can do more of what we are good at – interaction with members. Q: Did you obtain new members for this competition? TW: Yes, at least 45 new riders but some could not finish. The challenge next week [2015 Summer Sprints] to do Bent Spoke will be the day we get many new riders because it is doable for almost anyone. They will feel a part because each rider scores points for the 4-mile ride. RH: 100% YES! People were recruiting neighbours, workmates, husbands, children to make our team stronger. The people that were riding were spreading the word to anyone that would listen, even the people that wouldn’t listen. We heard members we at the school drop off recruiting, and once I went to the supermarket and was told members were down there talking about the “Espresso Challenge at GHRC” – it was unreal the response we had. Q: Did you create your own incentives on top of the Expresso incentives? TW: No extra incentives other than making copies of The Gap Facebook postings and placing them in front of our riders. RH: No we didn’t. We had our club goal, but it wasn’t long before that was met and the snowball effect just made it bigger and bigger. This is definitely something we will look at next time. I envision it to be like a leader board or a daily shout-out of awesomeness to certain members. Q: What were the member’s reactions to this event? TW: We had more excitement than ever before. Since we are only open for 6 hours on Sunday, The Gap killed us on miles then. The last Monday we got 915 miles and burned over 35,000 calories. Our people are so cool. RH: Bigger than I thought. At the end I was [thinking], “I’ve created a monster.” We were competing against a gym on the other side of the world and the members loved it. They met new people, made new friends, conquered new challenges and created new social groups. We didn’t win the last challenge, but we tried our hardest. 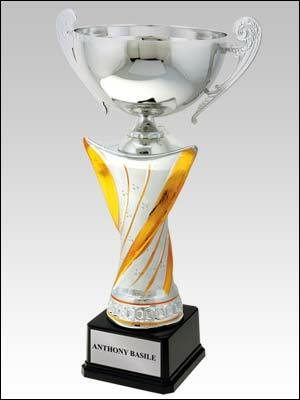 It was recognized by Expresso and they arranged a trophy. At our BBQ at the end of the challenge when the members found out, it was chaos, they were so excited. A fun, engaging, and social cardio experience. Compete with us at http://Expresso.com/Top100. I must say that I am so impressed by the number of people who do the bike programs each month on a world-wide basis. By having the monthly challenges the way Expresso does it, keeps you coming back each month. It creates a nice monthly challenge and helps keep you in good arobic shape. I would like to congratulate both teams on a job well done. I am posting on behalf of my 16 year old, highly autistic son Zeke. He started working out at our local YMCA a little more than two years ago. When we started, his weight was around 235. About six months into his exercise program, I convinced him to try the old model Expresso bike. While he cannot ride a regular bike, he absolutely LOVED it. The old model eventually died, and our Y replaced it with the EXPRESSO HD about two years ago. To make a long story shorter, he has ridden the new expresso over 3000 miles, his weight has stabilized under 190, and he is a bit of a celebrity in our YMCA. During the month of June, when the challenge was to burn 2500 calories, he burned nearly 13,000 riding over 330 miles that month alone. I checked the website after midnight on the last day of the month, and he was ranked 94th in the world overall. Zeke finished the Tour d’Expresso in about 8 hours this year, and I am one proud papa. For those of you who check results and see an under-20 named Z. Snyder, now you know a little bit more about the young man behind all the mileage. Lewis. What a terrific story! Thank you for sharing. I had seen your son on the leaderboards but I had no idea as to the story behind the name. I’ve shared your comments with everyone here at Interactive Fitness. We’re so glad to be part of your son’s success. Ride on! Expresso now reports your rides to Strava automatically!